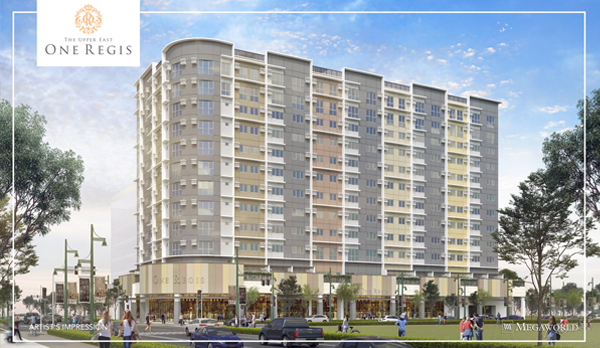 Megaworld has exciting news for Bacolodnons! 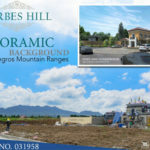 The company has announced that they are building a Bacolod luxury boutique hotel inside its 34-hectare The Upper East township development. The old heritage houses inside the sugar central compound will form part of this new Bacolod hotel. 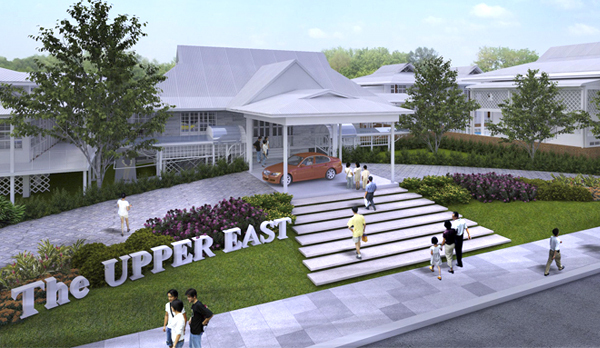 The propose Bacolod luxury boutique hotel that will become a landmark at The Upper East. This Bacolod luxury boutique hotel is located along the township’s six-lane Upper East Avenue. It is expected to cost more than P500 million until completion. It will bring in more jobs and amp up Bacolod hotel services and amenities. This is not surprising because Megaworld is one of the country’s largest real estate and hotel developer. 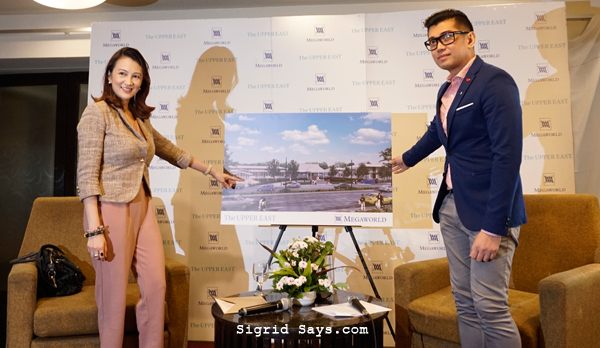 L and R: Rachelle Peñaflorida, vice president for sales and marketing, Megaworld Bacolod and Megaworld Senior Assistant Vice President Harold Brian Geronimo during the press presentation of the hotel. The hotel ballroom will be connected to an expansive tropical garden. It will become the city’s biggest hotel ballroom facility to date. We were told that it can accommodate around 1,000 guests in a banquet setting. Additionally, it can also be divided into three separate ballrooms for smaller events. Meanwhile, the hotel’s main lobby will be a retrofitted heritage house. It used to be the old ‘guest house’ inside the Bacolod-Murcia Milling Company compound. Beside it will be another wing that used to house the guest rooms for visitors. This is the one that will be converted into a ballroom facility. The facade of the proposed hotel, as designed by Filipino architect and conservationist Dominic Galicia. The design will be handled and by renowned heritage architect and conservationist Dominic Galicia. He will make sure that the hotel will have the old structures undergo ‘adaptive reuse’ to form part of its complex. As you know, Galicia was the architect of the redesigned building of the National Museum of Natural History in Manila that opened last year. Related: In Iloilo City, Megaworld also has a hotel development called Richmonde Hotel Iloilo, located at the Iloilo Business Park. glorious past while looking forward to a bright future. This luxury boutique hotel will be another landmark in The Upper East. It will be a perfect venue for conventions, weddings, and memorable celebrations, as it integrates an outdoor garden setting into its ballroom facility. For sure, future Junior-Senior proms of prominent Bacolod schools will be held there. “Megaworld is keen on helping boost the MICE tourism industry of Bacolod,” says Rachelle Peñaflorida, vice president for sales and marketing, Megaworld Bacolod. 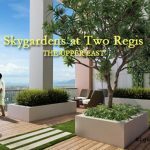 On a similar note, Megaworld also announces that it is upgrading its first residential condominium development, One Regis. Encouraged by the fast moving property, Megaworld is going to add more amenities, residential floors, and parking facilities. One Regis has more residential floors and amenities. 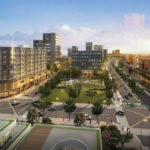 “As we saw an overwhelming reception to our first condominium development in The Upper East, we believe that this project deserves an upgrade with more amenities, more facilities, and more unit options. These will perfectly fit the Bacolod lifestyle,” explains Peñaflorida. Like the Bacolod luxury boutique hotel, One Regis is scheduled for completion in 2022. Furthermore, it has a total projected sales of P1.2-billion. 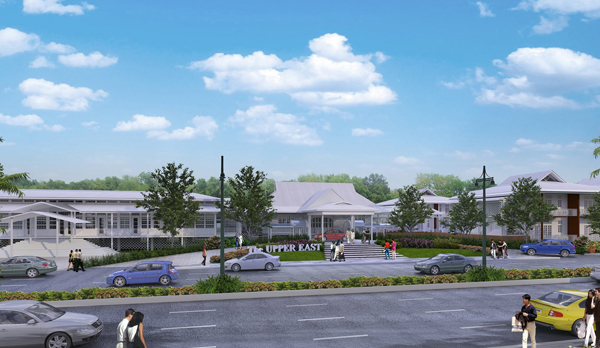 All in all, Megaworld is spending P28 billion to develop The Upper East in the next 10 years. This is part of the P35 billion investment that the company announced in 2015 for both Northill Gateway and The Upper East.